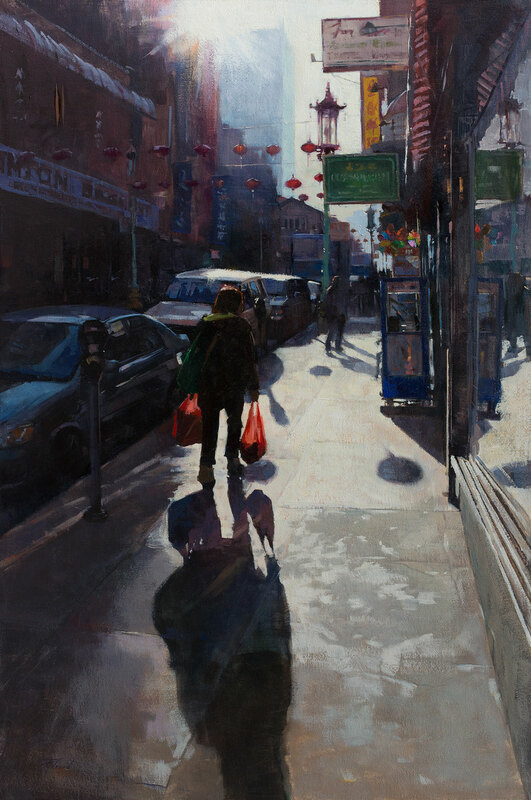 A larger piece from an early morning walk through San Francisco's Chinatown with my wife, Kimberly. This is the corner of Sacramento & Grant. Early morning can be surprisingly peaceful in the area. This painting won Third Place, Signature Division, in the Oil Painters of America Fall 2017 Online Showcase, was featured in the American Impressionist Society's 2017 National Juried Exhibition, and is featured in the September 2018 issue of Southwest Art magazine as part of a cover story on my journey as a plein air painter.